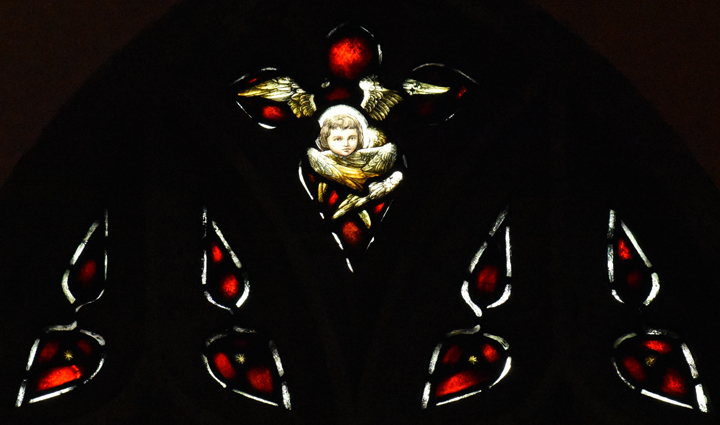 Brief Description of Subject: The "Baptism of Our Lord" window is located in an area that originally served as the baptistery, however in 1939 it was dedicated as a children's chapel. 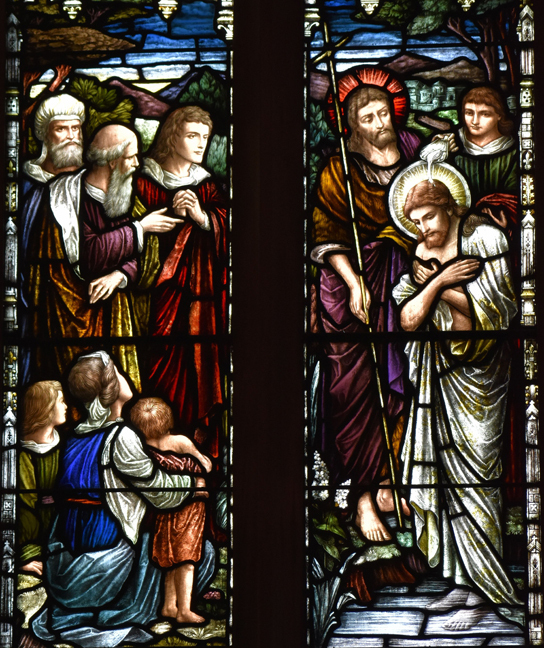 This window depicts John baptizing Jesus and can be found in Matt. 3:13-16 (NKJV) --- "Then Jesus came from Galilee at the Jordan to be baptized by him. And John tried to prevent Him, saying, 'I need to be baptized by You, and are You coming to me?' But Jesus answered and said to him, 'Permit it to be so now, for thus it is fitting for us to fulfill all righteousness.' Then he allowed Him. When He had been baptized, Jesus came up immediately from the water; and behold, the heavens were opened to Him, and He saw the Spirit of God descending like a dove and alighting upon Him. And suddenly a voice came from heaven, saying, 'THIS IS MY BELOVED SON, IN WHOM I AM WELL PLEASED.'" Inscriptions: This is my beloved son in whom I am well pleased.